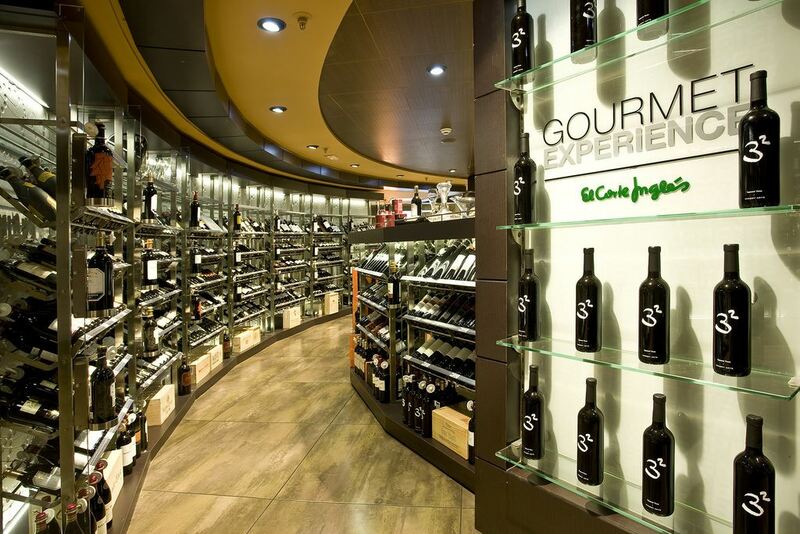 We are frequently contacted by our clients researching the best shopping in Spain. After two decades of answering questions and providing advice (we’ve been designing travel itineraries here since 2000) we thought it was high time we provided our very own Totally Spain Guide to the Best Shopping in Spain. 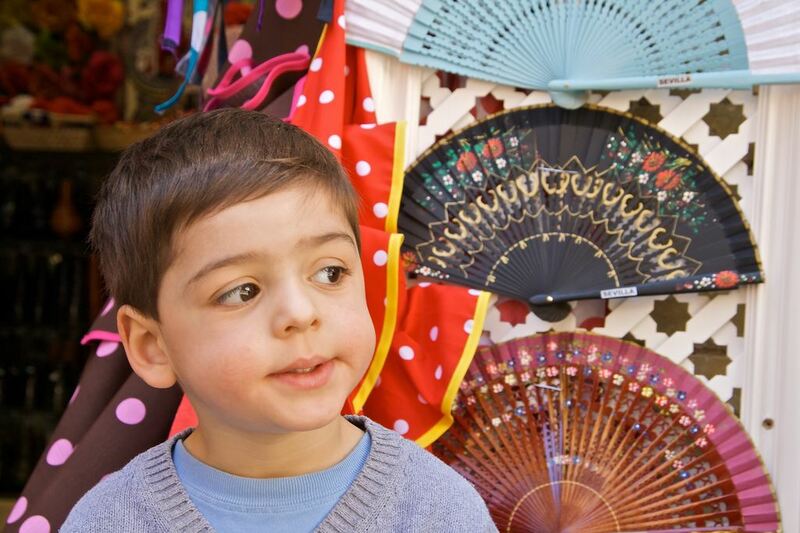 1 When to Shop in Spain? At what time do the stores open? Spanish shops typically open at 10am and close at 8pm – with many closing for business in the middle of the day. Our advice? Go shopping at 10am or at 5pm. If you can only shop in the middle of the day, look for El Corte Ingles or the internationally recognised brands that will stay open throughout lunch. Wherever you are, you’ll see that Saturday mornings are busy – in the smaller cities that’s because the shops don’t re-open on Saturday afternoons. And don’t expect to do anything other than souvenir shopping on Sundays or Bank Holidays unless you are in Barcelona and Madrid where the opening laws have been relaxed to cater for tourism. Every city has its own charm but if you are purely talking about shopping, then we have to recommend either Barcelona and Madrid for the variety of brands and shopping experiences, the opening hours and the flight connections. If you are a reluctant shopper or like to find it all under one roof – then you should go straight to the nearest El Corte Ingles which is like a Debenhams or a Macy’s and stocks a great range of clothing, food and household items. Europe’s biggest department store group also contains concessions for many of the well known Spanish brands such as Adolfo Dominguez, El Ganso and Custo Barcelona for mid-range clothing and Tous for mid-range jewellery. You will also find higher-end brands such as leatherwear by Loewe, clothing by Sita Murt and Hoss Intropia, plus the Gourmet food and wine store. If you rather shop independently, we recommend you seek out the nearest “high street”. As well as the names we listed earlier that you’ll find inside the department stores and on the Spanish high streets, you should check out Massimo Dutti and Purifacion Garcia for clothing, Bimba y Lola for accessories, and Nanos and Neck & Neck for kidswear. We also like Imaginarium for toys, Casa and Textura for homewear (as well as Zara Home of course), Pronovias for bridalwear (different country pricing can often mean that the Spanish stores are worth the trip) and you’ll find Natura Bisse for cosmetics in all the good perfumeries or beauticians. We’ve blogged about footwear here – needless to say that Camper and Vialis are good for footwear as is the lower priced store called Fosco (now trading as Merkal) and the artisan-driven Castaner. 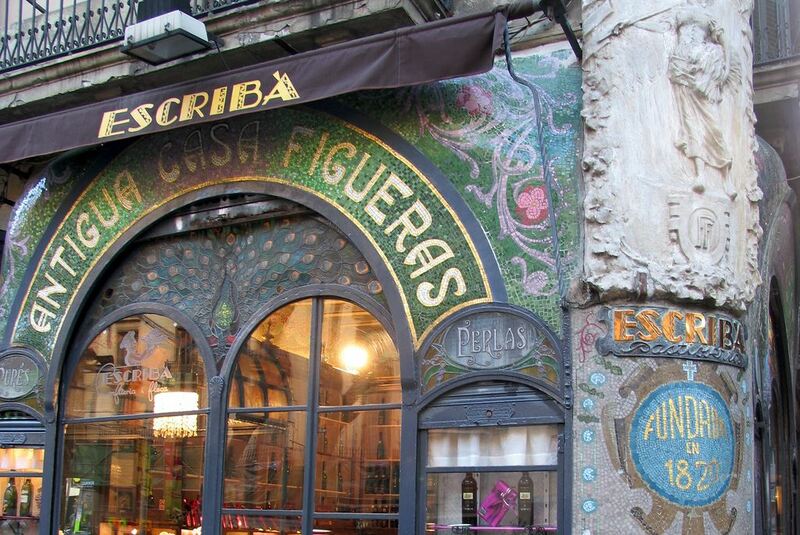 We adore the charming pastry shop in Barcelona called Escriba. 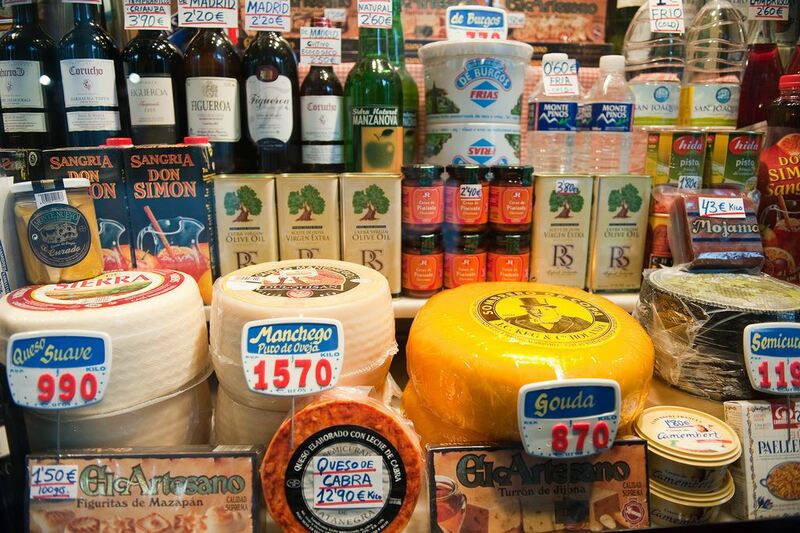 Now that we think about it, without exception, our favourite stores in every city in Spain are the amazing independent foodstores and delis which are great for picking up treats and also brilliant places for people-watching! 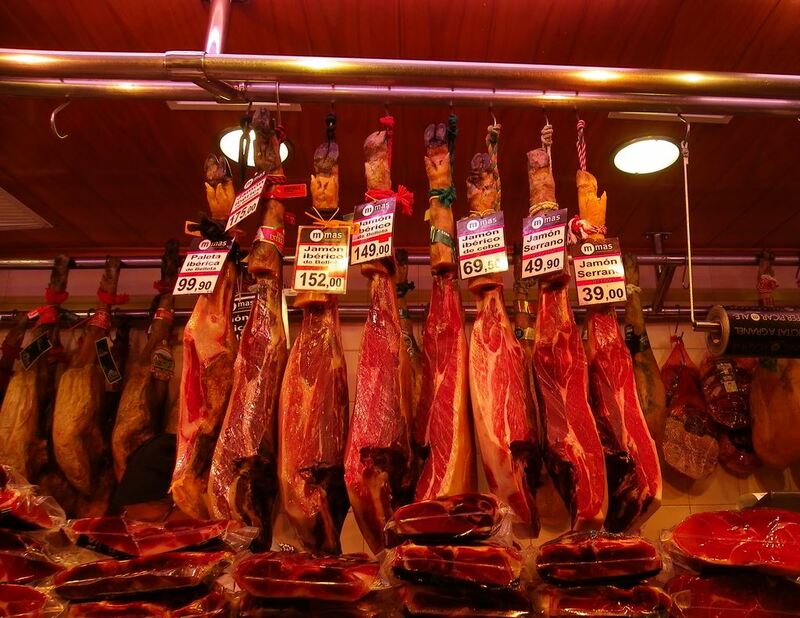 In Madrid, we love visiting the old-world delis such as Mantequerias Bravo and the well-heeled mecca that is the Mallorca chain in Madrid is also great. We won’t go into our favourite specialist shops here (that for another blogpost) but throughout Spain you’ll find the wonderful La Chinata, perfect for great olive oils and savoury treats as well as hydrating facial masks that they come highly recommended after a long day shopping or a night out celebrating the day’s shopping. Try them and you’ll agree! There are many reasons to check out the Rastro or main fleamarket on the Calle Ribera de Curtidores in Madrid every Sunday. We like it for the atmosphere but are constantly reminding clients that pickpockets are in action here so be careful where you stash your cash and documents. 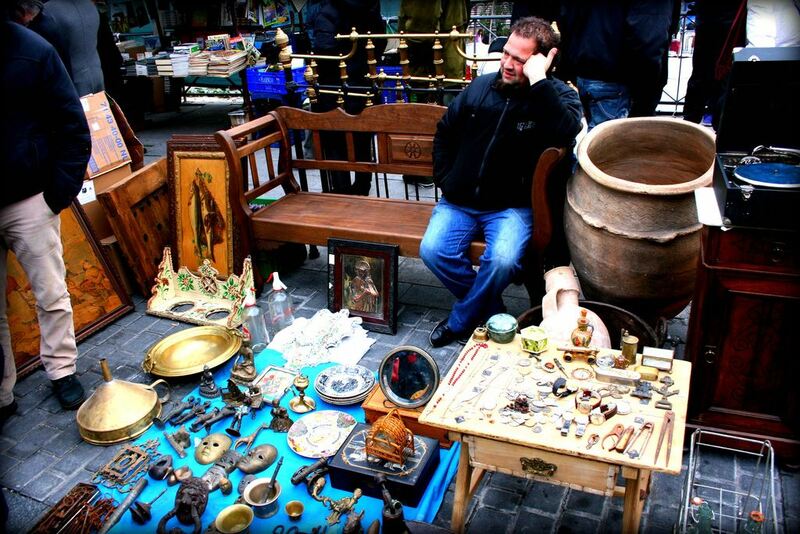 In Madrid’s Plaza Mayor on Sundays check out the flea market held under the arches. It’s best known for its coins and stamps but you’ll find a little bit of everything here too. 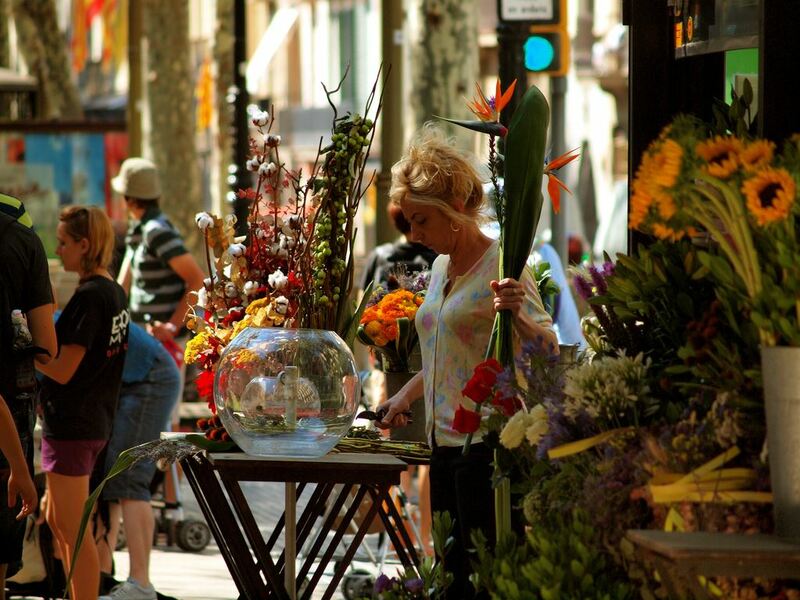 Barcelona’s best known rastro is on Las Ramblas – but you’ll probably browse rather than buy anything unless you are after flowers. The Mercat del Encants on Placa de les Glories Catalanes is the city’s largest market and in between some junk you’ll find many a gem. Outside Barcelona and Madrid, you’ll find plenty flea markets or rastrillos held in most towns and cities once or twice a week. If you like a bargain, ask your hotel to recommend one. Remember at Christmas to ask about Mercadillos de Navidad. It used to be tricky to pick up affordably priced antiques in Spain but ‘vintage’ has arrived here and even the posh antigues shops on Claudio Coello and Lagasca in Madrid are finally beginning to cater for more affordable ‘antiguedades’. 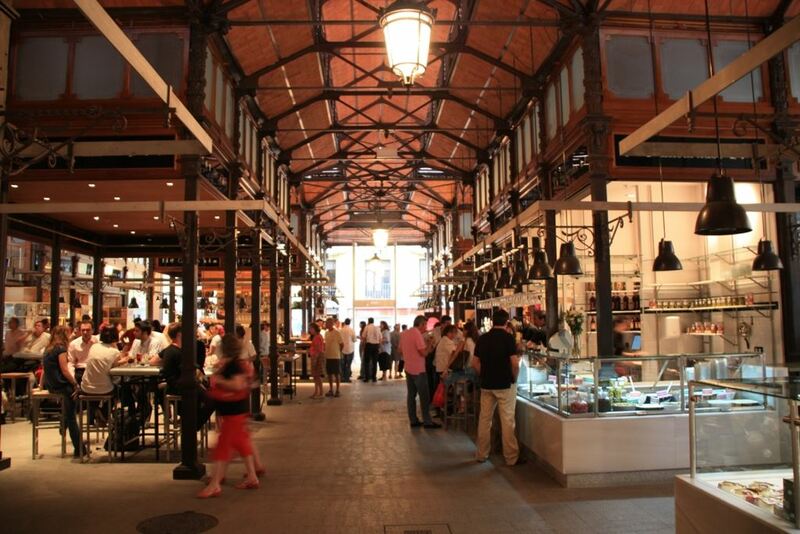 Our favourite place in Madrid is Galerias Piquer near the rastro – this is where you’ll pick up some great finds. 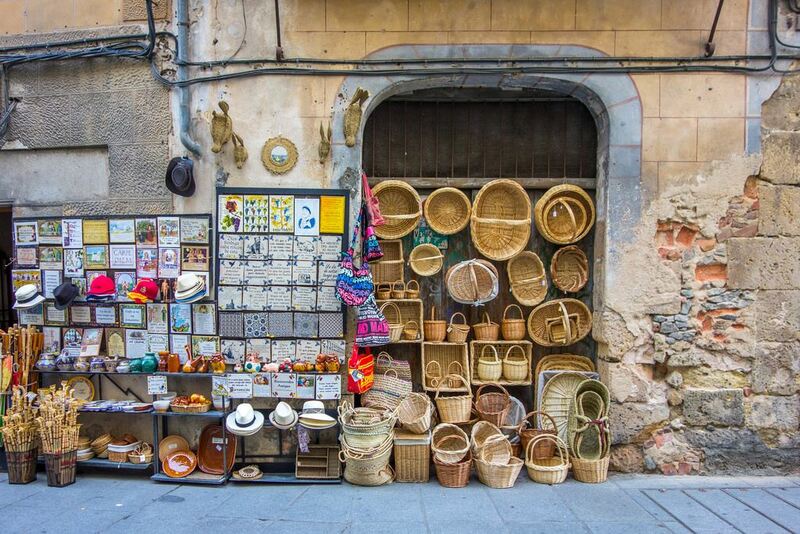 In Barcelona, go to the Barri Gotic – on streets such as Carrer Banyes Nous you’ll find a great mix of stores selling art, furniture and uniquely Spanish items such as 19th century fans and mantons (shawls worn in flamenco) which are not only beautiful but travel beautifully too. If you are looking for antique or vintage shops elsewhere, we recommend picking up an interiors magazine where you’ll find some leads amongst the ads and features. We like much of what we see in the Spanish version of AD magazine which is a mix of vintage and contemporary. If you do want to pick up interiors in Spain, try subscribing in advance so you are familiar with the names and locations. Whilst we aren’t huge outlet shoppers ourselves, we recognise that they are very convenient for keen shoppers especially on Sundays when most other places are shut. You’ll also find the stores are helpful when it comes to providing VAT refunds (see below), speaking English and the outlets usually offer free Wifi which is also handy for travellers. The best known outlet in Spain is Las Rozas in Madrid which is open Monday to Sunday from 10am to 9pm. It’s a 25-min ride by cab or bus to the outlet. See the website for transfer details. 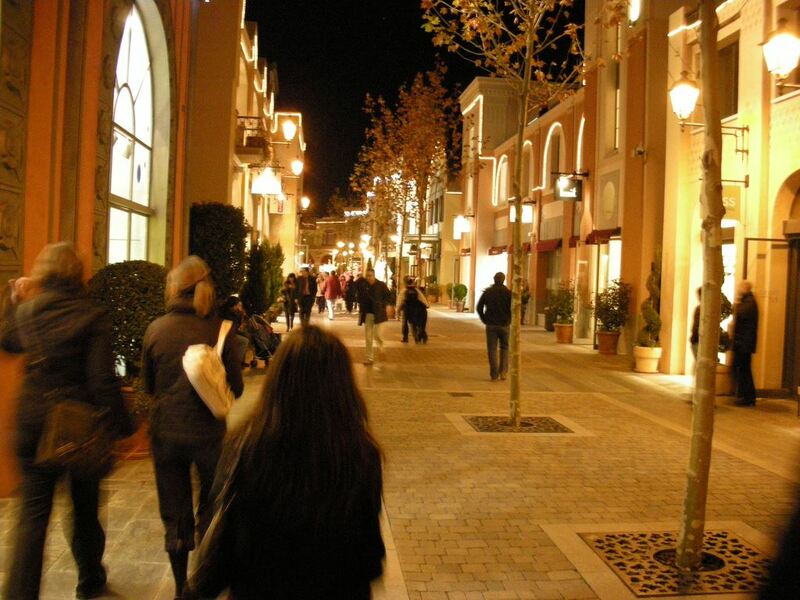 The biggest outlet village in Barcelona is La Roca. It’s also open 10am to 9pm Monday to Sunday. It’s about 30 mins by taxi from downtown Barcelona. Check the website for transfer details and brands. You’ll find a large number of shoe outlets in Spain – see our blogpost on shoes for more details. We’re not talking about the fridge magnets of the Plaza Mayor or the flamenco frilled aprons here. We mean the artisan-produced items that our clients seek out – usually to bring back to somebody else. Many of our clients love the swords made in Toledo by Mariano Zamorano. 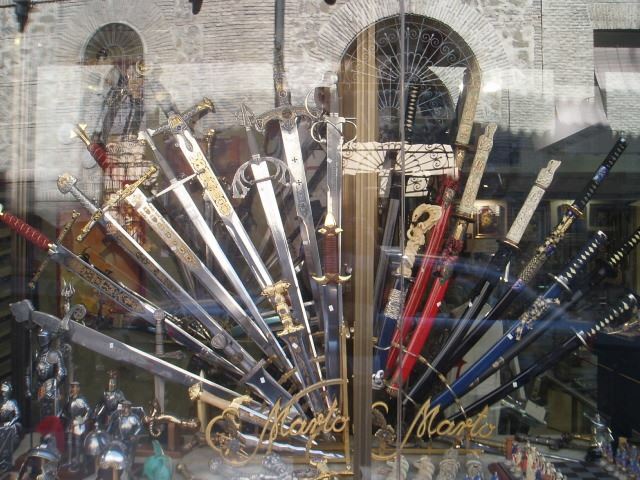 For obvious reasons, he ships anything you purchase from his workshop and even offers a tour of the production of these swords and daggers (must be booked in advance). If you are looking for ceramics, you’ll find shops all over the country. We always recommend picking up a few handpainted tiles which not only travel well but are great as gifts. In Seville and much of Southern Spain, you’ll be tripping over great places. Further north and you’ll need to do your research. If you’ve left your shopping til Madrid, you should call into the Antigua Casa de Talavera in Madrid for colourful plates and tableware. In Barcelona ART Escudellers in the Gothic Quarter should be able to sort out any of your ceramic cravings. If your needs are for porcelain rather than earthenware, then you may be looking for some Lladro. The Valencian-based company still produces the figurines everybody is familiar with but has also begun collaborating with contemporary designers – we like the delicate and modern Re-cyclos by Bodo Sperlein with prices starting at 60 EUR and rising to 90,000 EUR. Check out our post on gifts from Spain here. We never praise them enough usually – but the Spanish museum shops really are great. 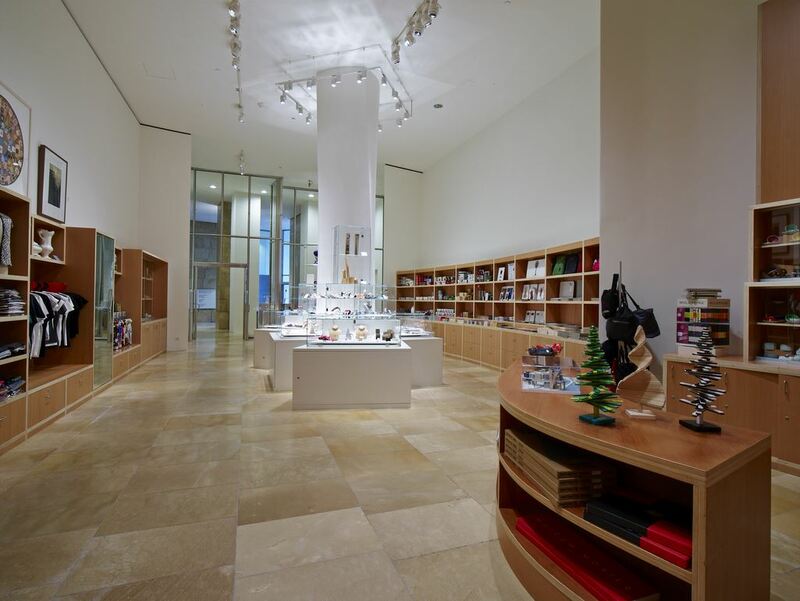 We always spend more than we’ve planned at the Guggenheim Bilbao which has stacks of great stationery, an amazing bookstore and plenty of other gift ideas. We also love all the shops at the big 3 museums in Madrid which are perfect for gifts. See Thyssen’s great giftstore where the Robert Delaunay inspired bag alone makes it worth the journey. If you are looking for high-end rather than high-street – you’re best options are Madrid’s Barrio Salamanca and Barcelona’s Diagonal. In the South, Marbella is your best bet and in the North, Bilbao. The Jorge Juan area in Madrid is the epicentre of the best labels with nearby Serrano, Velazquez, Lagasca and Claudio Coelho offering the brands you need. Most of the stores in this golden mile will not only speak English but some also speak Mandarin. In Barcelona, you’ll also find English spoken widely at the modernist flagship stores on the Paseig de Gracia and Avenida Diagonal. You should stop for a drink at the Santa Eulalia which has been selling fashion since 1843. When you exhaust the Eixample neighbourhood, you’ll enjoy the many design-driven independent boutiques and stores on the sidestreets of the Born district. 12 Popping the Purchases into your Suitcase or shipping them separately? Most of us hesitate about shopping for larger items or leave our shopping until the point of departure to avoid dragging any extra items around with us. If you find yourself picking up more than you can handle, we recommend getting a courier to come to your hotel and ship the shopping home. Check out Fedex website where you can ship 10kg from Spain to the US for 290 euro. It mightn’t make sense for items of low commercial value but if you come across great discounts in your favourite brand of footwear, it’s much better to ship the 6 pairs of shoes and the 2 handbags home rather than drag them around with you! UPS is showing as a little more expensive at 340 EUR for a similar size box. If you want to do this the old-fashioned way, you can also go to the nearest Post Office called Correos where you can buy a box and ship the items off. We haven’t been able to confirm rates but we can confirm the some of the post offices are in pretty select locations. 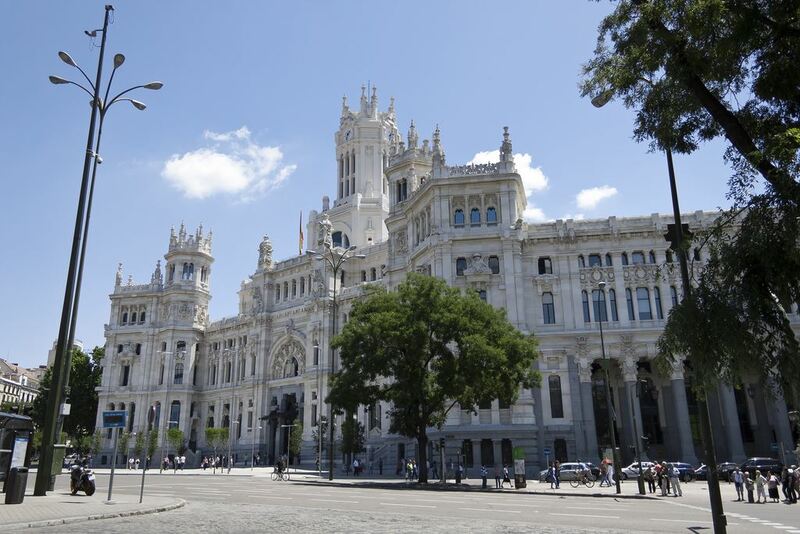 The main post office in Madrid is actually called the Palace of Telecommunications! 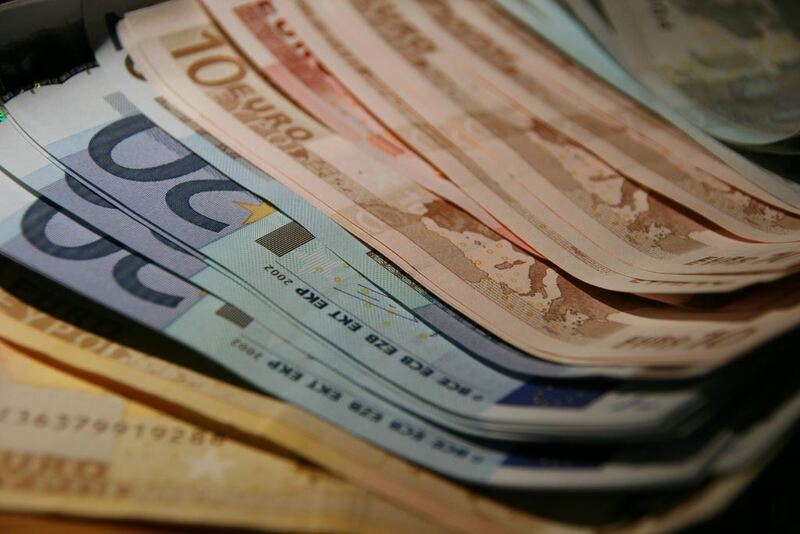 13 Tax-free Shopping in Spain – Claim your VAT Refund! If you live outside the EU area and spend more than 90.16 EUR, you can claim back your VAT. Don’t forget to submit your tax-back forms at the airport or via the Global Blue Tax Free Shopping website. Basically you need to ask for the form each time you shop and submit the form at the airport – you should not have used the items purchased – keep them in their bags/wrappings to help prove this. El Corte Ingles streamlines this VAT refund process instore and also give a 10 percent discount to international shoppers – check it out here. They can also arrange for shipping your purchases home for you. You’ll find that most shops servicing the tourism sector will be able to provide the forms necessary to claim back your VAT – check before you spend. You can check what amount you will get back by using the calculator here. Ok – we’ve just suggested that you buy and ship back but sometimes, it makes more sense to try here and buy at home. Food and wine often falls into this category. Imagine for example that you are in a winery and love what you are tasting. Wineries are happy to sell a few boxes at the winery but generally don’t ship on their wine – that’s what they have distributors for. We like Wine-searcher.com which lets you see who is distributing in your area. For example, it’s showing distributors and rates for CVNE’s Contino in the UK, US, Belgium, Germany and Spain. So somebody living in West London, might decide to order a bottle, a magnum or a case from the comfort of their hotel room after the wine tasting and have the items ready for delivery upon their return home. Another good example is Spanish olive oil. Spain exports 300,000 tons of olive oil annually so it’s a sector that knows how to ship a box of the stuff but you’ll find most of the co-operatives are happy to hand over the international distribution to somebody else. If you enjoy anything you try at an olive oil tasting, check there and then whether the producer ships to your home country. If that doesn’t work out, you can always go to one of the online sites for Spanish food such as La Tienda which delivers wine, food items and also tableware and paella pans across North America. UK shoppers should try places like Brindisa which will keep you stocked up with bellota ham, pimientos de padron and its own brand Arbequina extra virgin olive oil. 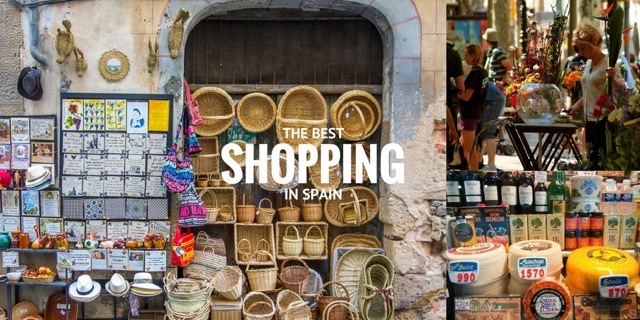 So there you have it – our guide to the best shopping in Spain. Does anybody else feel a spending spree coming on? Posted in Barcelona, Food & Drink, Insider Spain Guides, Madrid, Popular Posts, Shopping, Useful Information and tagged Barcelona, Barri Gotic, Barrio Salamanca, chains, department stores, Diagonal, El Corte Ingles, Escriba, flea markets, food markets, gift stores, Guggenheim, high street, La Roca, Las Ramblas, Las Rozas, Lladro, Madrid, malls, Mercado de San Miguel, opening hours, outlets, Rastro, shops, Spain, Tax refunds, Toledo, VAT refunds.